Whether doing their own research, using the perspective of those close to their subjects, relying on existing print biographies, or combining elements of all three, biographical filmmakers can take a variety of tacks as they craft cinematic portraits of a person’s life. Their biggest decision, of course, is whether to go the documentary route or create a biopic, with the potential interest in the subject—and available funding—influencing the choice. While the Hollywood treatment of a subject’s life can mean huge box office sales and perhaps a trip down the red carpet at the Academy Awards—think last year’s Hidden Figures—the increasing number of streaming video outlets and their demand for content has opened up new outlets for biographical films. TBC’s annual—but far from exhaustive—look at biography on film shows that both cable networks and the streaming giants have recently or will offer soon a number of documentaries. In addition, documentaries will appear on the big screen, along with the more high-profile biopics. Here are some of the biographical offerings of the past few months, ones slated for release soon, and films that are still being shot or are in the planning stages. Go here to learn more about these films. 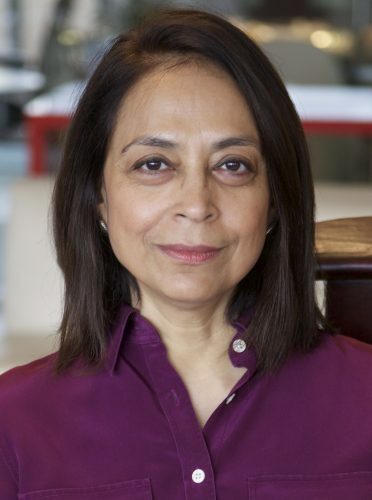 Radha Chadha is a brand consultant as well as a first-time biographer. If BIO gave an award to the member who ventured the farthest for its annual conference, Radha Chadha would have taken it for 2016. Originally from India, Chadha traveled from her current home in Dubai to Richmond for this year’s event, after being introduced to BIO by TBCNew York correspondent Dona Munker. The path to meeting Munker intersected with Chadha’s effort to write a biography of her father, the documentary filmmaker and producer Jagat Murari. What led Chadha to tackle the challenge of writing about her father’s life? Part of it was wanting to tell the story of a key figure in postwar India filmmaking. “He has a fascinating story of achievements that even I didn’t know properly,” Chadha said. “He is a pioneer in the Indian cinema world, both as a documentary filmmaker and a film educator. 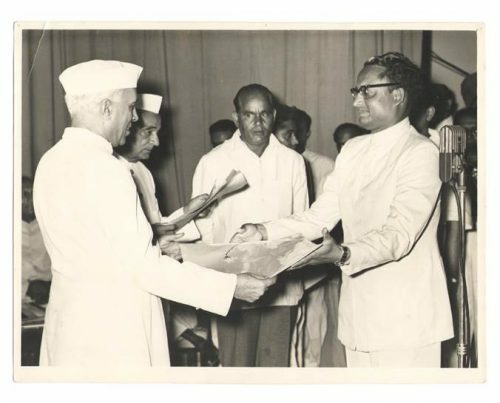 Jagat Murari (right) receives an honor from Indian Prime Minister Jawaharlal Nehru in 1956. Adding some spice to the story, it doesn’t hurt that Murari did an internship with Orson Welles while the director was making Macbeth¸ and that he later met world-famous directors as they passed through India. And for a time, Indira Gandhi’s role as the country’s Minister of Information and Broadcasting effectively made her Murari’s boss.